Photo courtesy of Culinary Finds. If fruit is large, chop it. 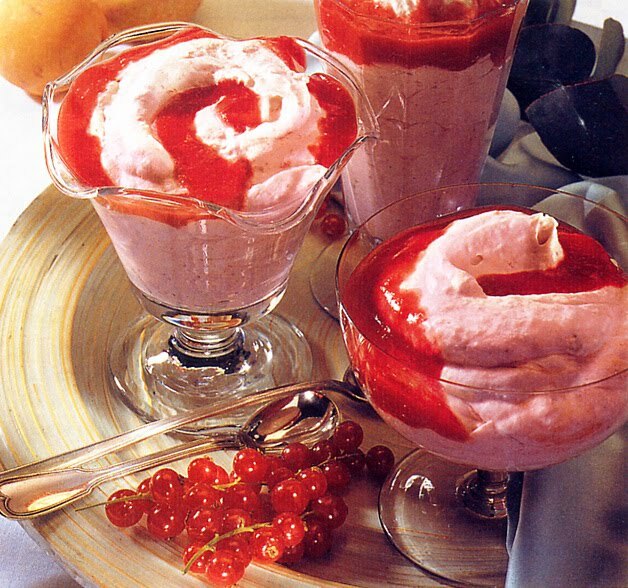 If it is small, such as raspberries or wild strawberries, it can be left whole. Add fruit to séré mixture. Pour into serving bowl. Chill slightly before serving. This will produce a mousse with chunky fruit. If you’d like a smoother one, just run the fruit through the food processor before blending it into the séré.